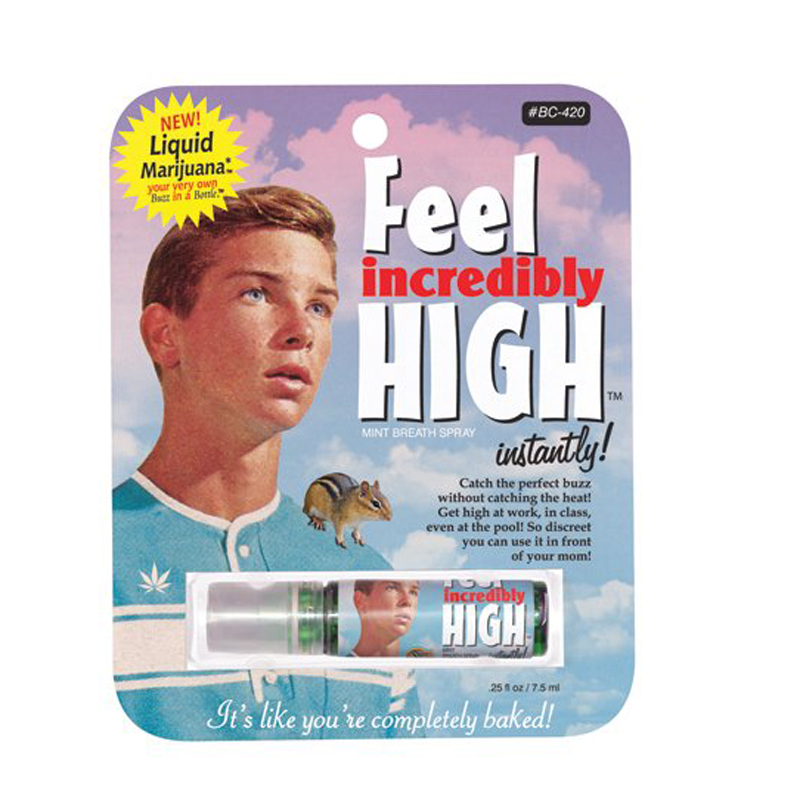 Feel Incredibly High Instantly Spray, Directions for use: Spray on tongue then stand on head while breathing quickly into a plastic bag. After 3 minutes - stand up quickly and twirl with arms out in a helicoptor motion until product takes full effect. Feature: Contains absolutely no real marijuana or any other mind altering substance...if you think it does, then you're already high.